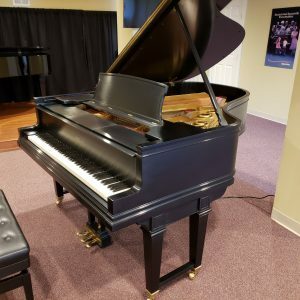 The Grand Piano was invented around 1700 by an Italian named Bartolomeo Cristofori. 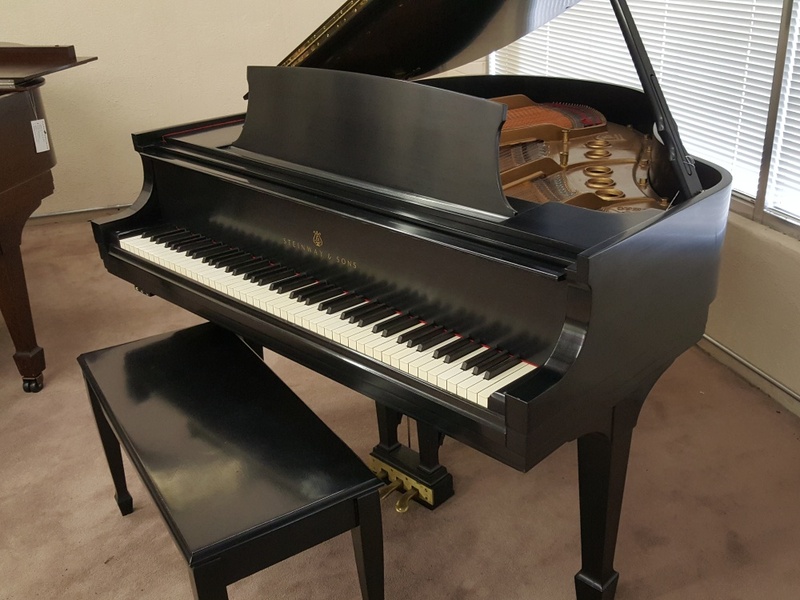 The purpose was to build a keyboard instrument that could play both soft (piano) and loud (forte). 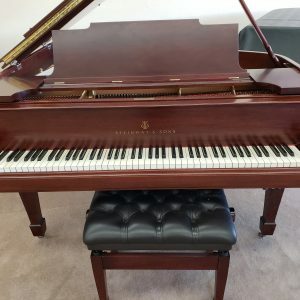 The name pianoforte or fortepiano described his instrument and eventually became referred to as the piano. 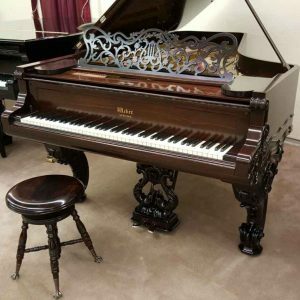 The first pianos were similar to harpsichords in that they had sets of tuned strings held in place by a wooden case with a soundboard underneath. 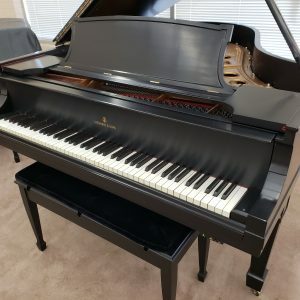 Major differences however, were that the harpsichord is plucked thus keeping the volume consistent and uncontrolled but the piano strings are hit by a hammer and the force of this blow is modified by the pianist, giving great differences in volume. 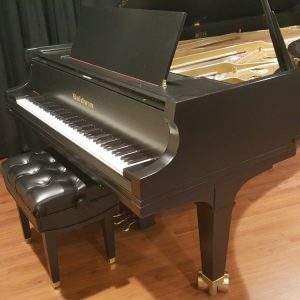 Grand pianos have their strings positioned horizontally. They usually have 3 legs but some have more. 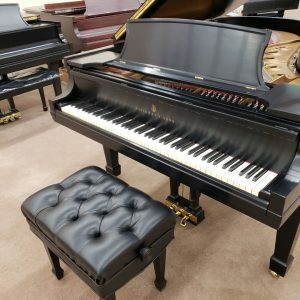 Grand pianos range in size from 4 1/2 feet to over 9 feet long. 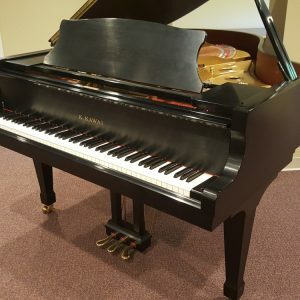 These grand pianos come in many different cabinet styles, shapes and finishes. 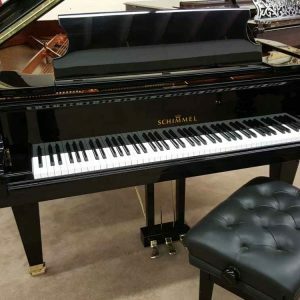 Grand pianos can make an excellent addition to any home.